Lovey Dovey zombie concept pictures – one of the five themes for the Lovey Dovey music videos. Core Contents are doing funny things again. T-ara’s Lovey Dovey album jacket photos with a smoky & funky party concept. The song will be unveiled next month. 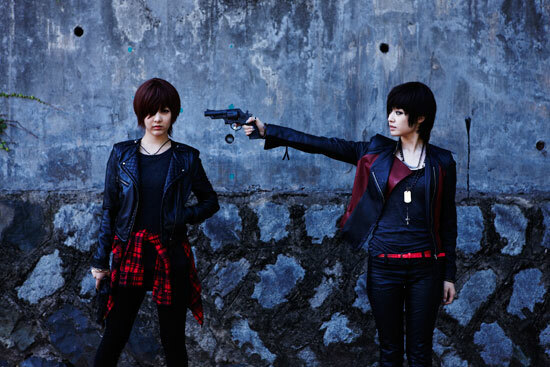 Teaser pics for T-ara’s Lovey-Dovey and Cry Cry music videos. The two songs will be made into a 30-minute long drama-music-video, starring Cha Seung-won (an actor whom Eunjung likes lol).